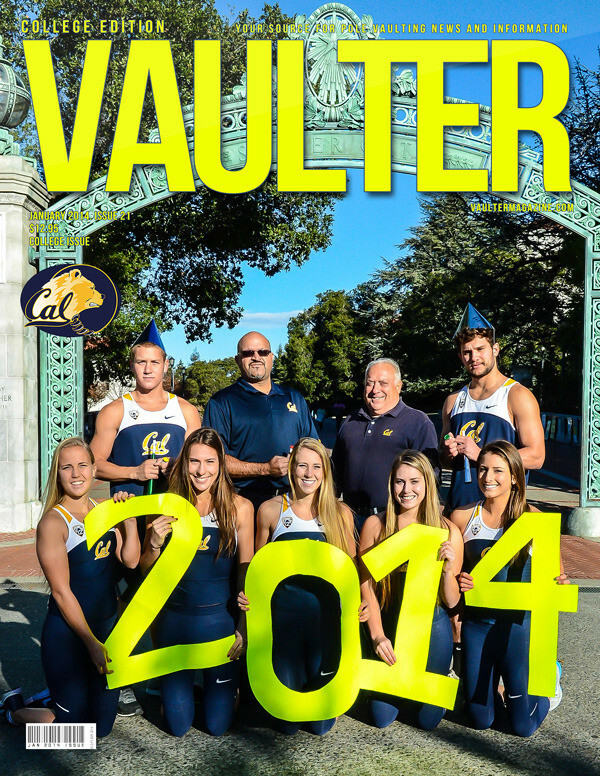 12" x 18" poster of the University of California Berkley Cover of VAULTER. Great color image of your favorite VAULTER Cover, buy now and have them ready for your next pole vault event. Our new full-color, double-sided Poster products are printed on premium cover stock and come standard with UV coating giving them an extra sheen and making them more durable. Posters are ideal for promotions and special event keepsakes such as river vaults, beach vaults, music festivals and fundraisers.